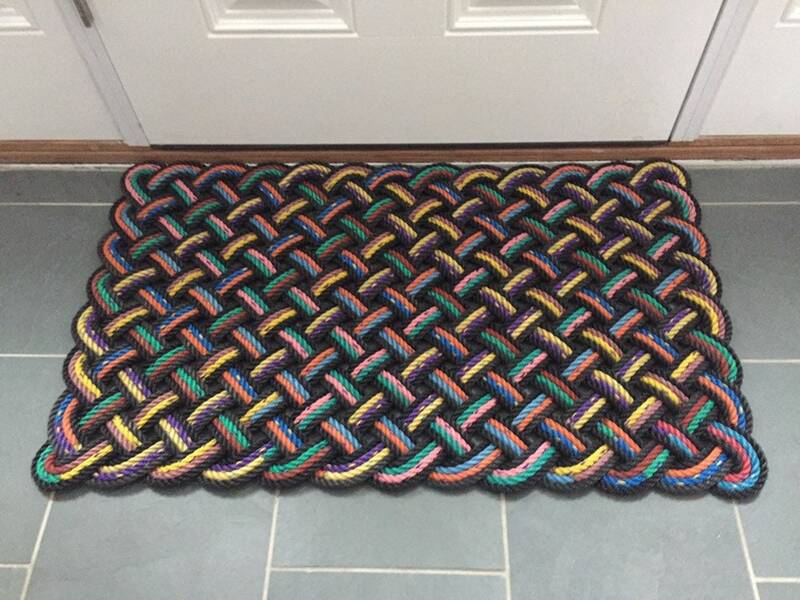 The mat measures approximately 39" x 24" x 1.25"
The pattern is woven with 4 passes, using black outer passes and multi-colored inner passes. 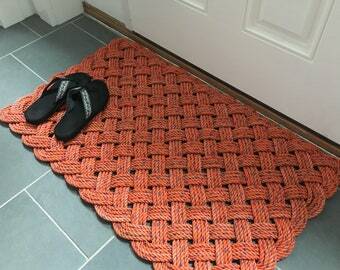 The pictures shown are the exact rug you would be purchasing. Well made rug that fits perfectly. It shipped quickly.